Portable system: Pull out, set up, and use anywhere. 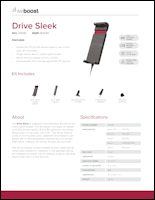 Nylon case (included) protects the Drive Sleek components from dust and dirt. 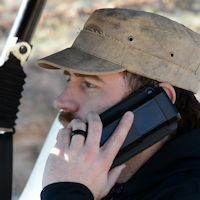 The weBoost Drive Sleek UTV/ATV Edition cell phone signal booster keeps you connected off road and in remote areas. 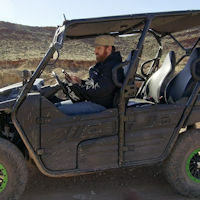 The Drive Sleek system is the perfect option for portability: It can be set up for use on your UTV, ATV, or other off-road vehicle in less than a minute, and can easily be moved into your car or truck for on-road use. 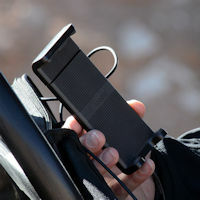 Stay connected in the back country with a stronger cell signal, and experience fewer dropped calls, undelivered texts, and slow cellular data! Who is the weBoost Drive Sleek UTV/ATV Edition for? 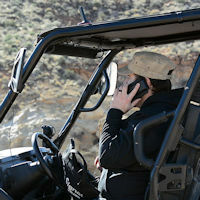 The Drive Sleek UTV/ATV Edition provides usable cell phone signal for those who enjoy “getting off the beaten path” in areas where there is poor service coverage. Off-roaders with UTVs, side-by-sides, or other all-terrain vehicles. Hikers, backpackers, campers, hunters and others who enjoy remote locations (national parks and forests, BLM lands, etc.). 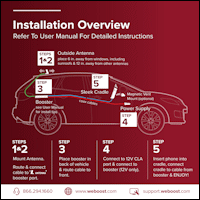 Those who want to use their cell signal booster in multiple vehicles. Anyone who needs improved cell phone connectivity on or off road. 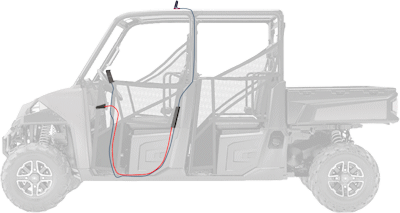 Attach the fin-shaped magnetic antenna to the UTVs’ roll bar above the driver or passenger seat. 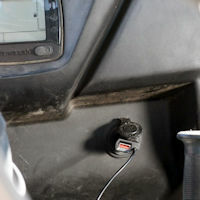 Plug the power adapter into the UTV’s 12-volt power supply. Insert your smartphone into the Drive Sleek spring-loaded cradle. That’s it! 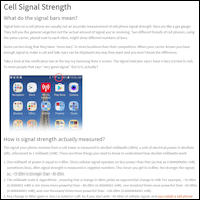 You’ready to make clearer, more reliable calls, send and receive texts, and take advantage of the fastest possible cellular data. 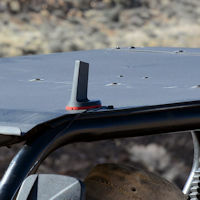 This kit also includes a 4‑inch metal disk that you can adhere to the top of your UTV to provide a more secure base for the rooftop magnetic antenna. Because everything you need is in one bag, you can use your Drive Sleek UTV/ATV Edition anywhere, including your car or truck.